Order in the next 9 hours 13 minutes and your package will ship on Monday, April 22. For engraving, order in the next 8 hours 14 minutes and your package will ship on Monday, April 22. 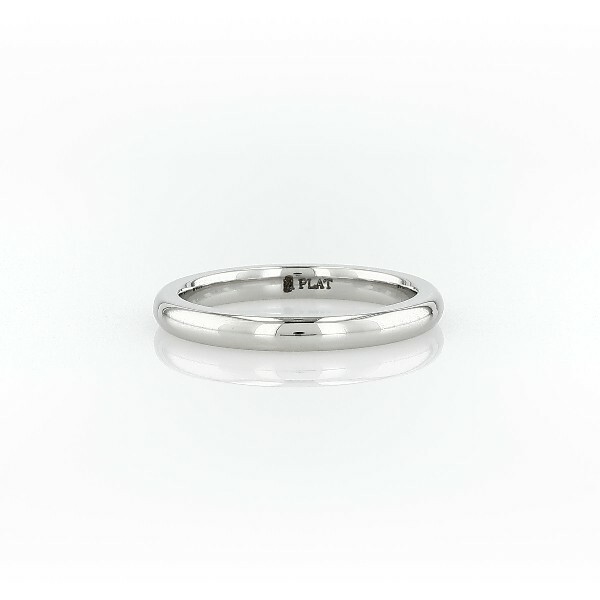 This comfort-fit platinum ring is the epitome of classic wedding jewelry. A traditional higher dome profile and gently rounded interior edges allow for everyday comfortable wear and the polished platinum finish will wear beautifully with time creating an endless reminder of your big day. Our selection of specially priced jewelry offers the same expert craftsmanship with even more incredible value. Because inventory on these styles is limited to stock and sizes on hand we're unable to accept special orders.